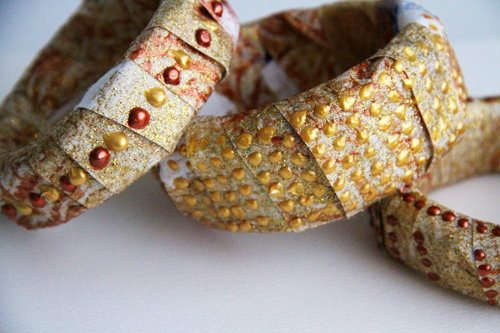 I love accessories and I am always looking for new ways to create my own bling. 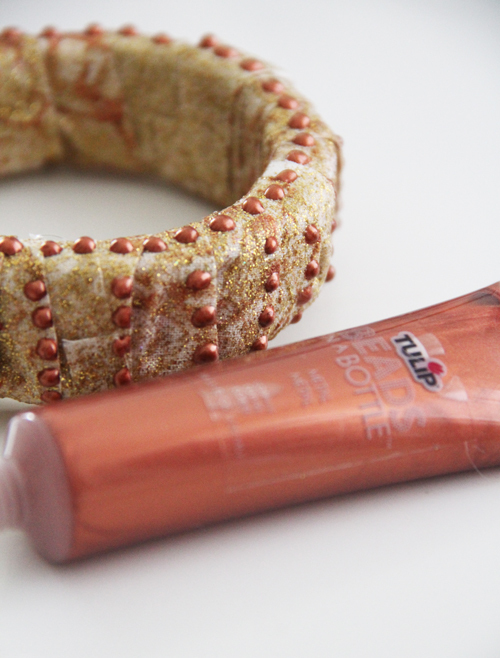 Recently I decided to use Tulips Fashion Glitter Shimmer Paint to create some chunky shimmer bangles. 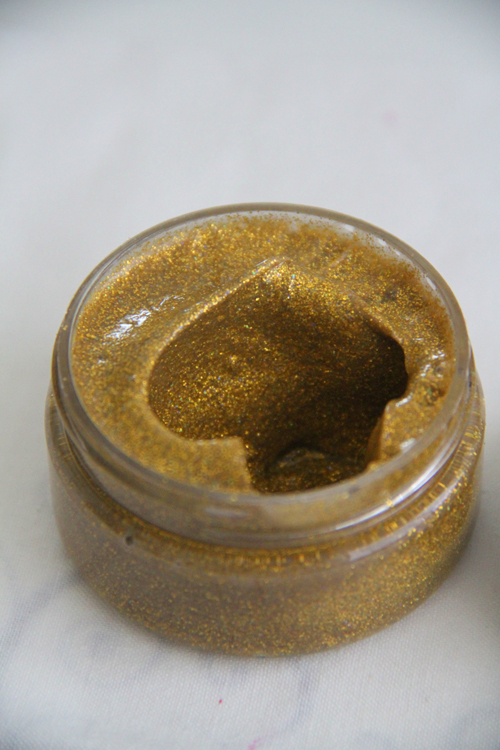 The shimmer paint is a really cool product because its all glitter but no mess!! 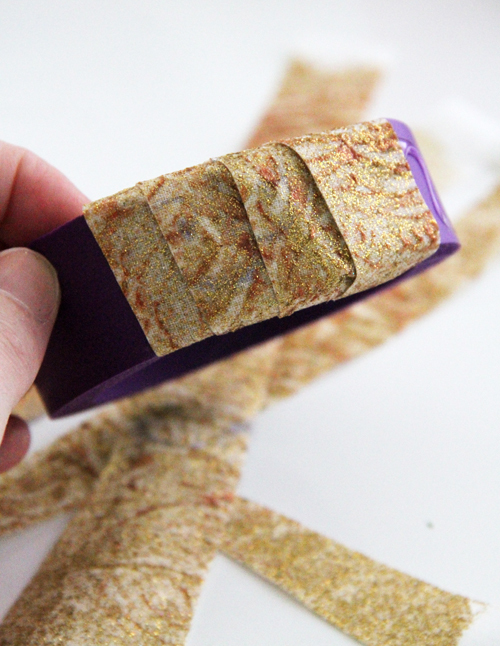 Great for transforming fabric into something a little fancy. 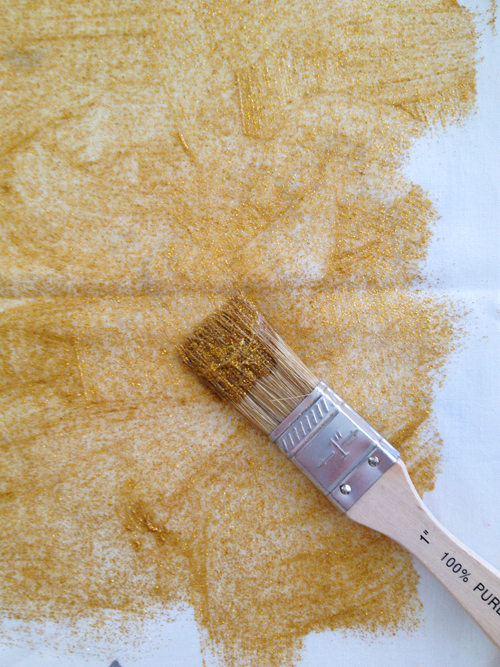 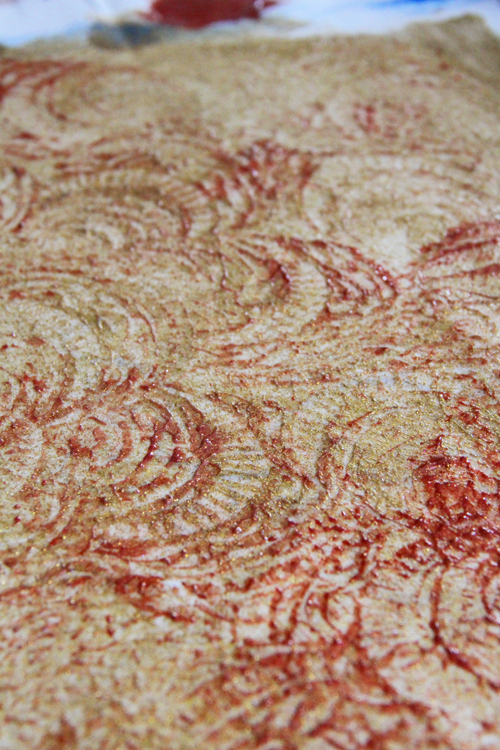 and painted a nice thick layer onto the surface of scrap fabric. 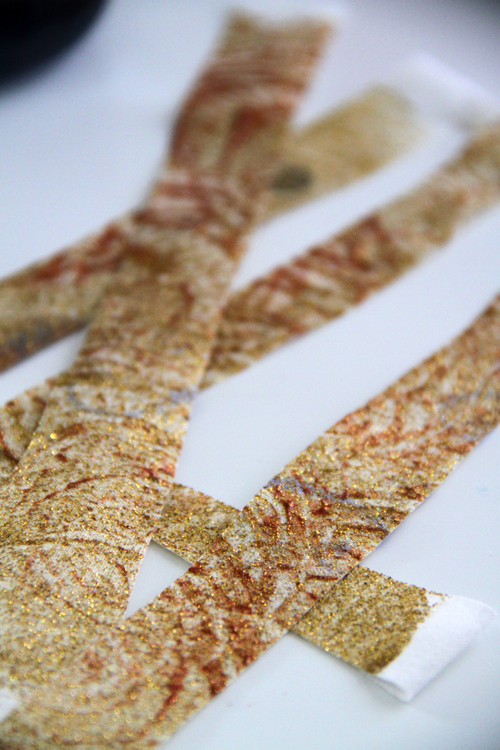 I wanted a little bit of texture so I used a stamp and some copper acrylic paint and stamped into the wet surface of the fabric. 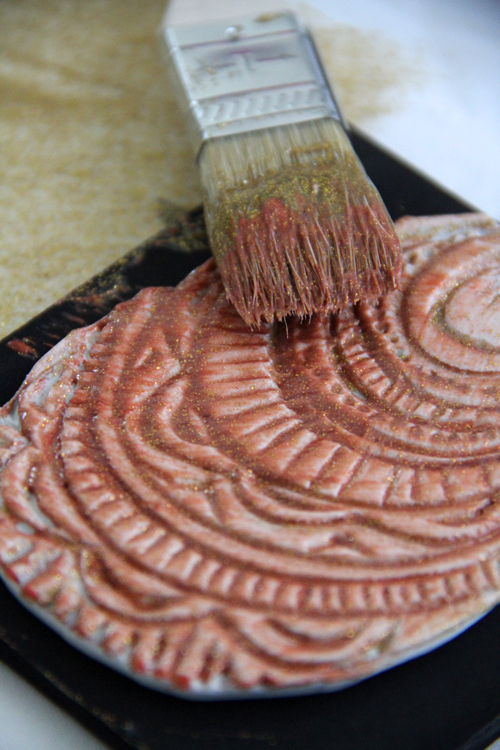 The result is a very subtle imprint of the stamps that adds a little texture to the surface. 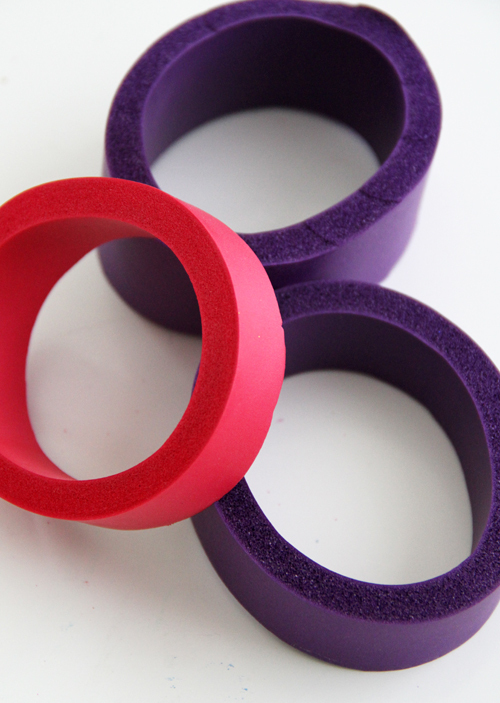 Now, for the next step your could use wooden bangles, plastic bangles or really anything that will fit around your wrist but I like to use craft foam because it is a little stretchy and very light to create a big chunky bangle. 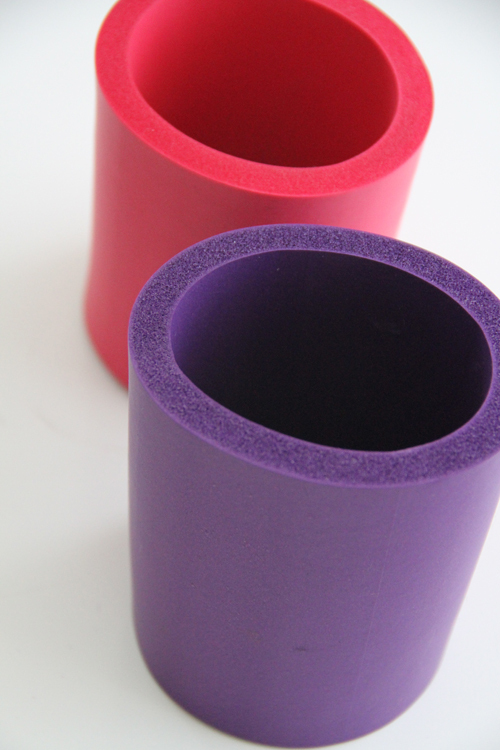 I used craft foam pencil holders- they can be found at just about any craft store in the kids aisle near the craft foam. 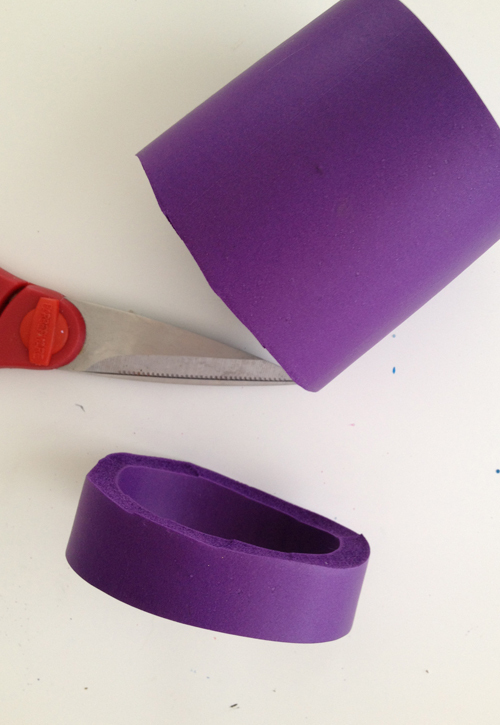 I cut sections of the foam to create the bangle. 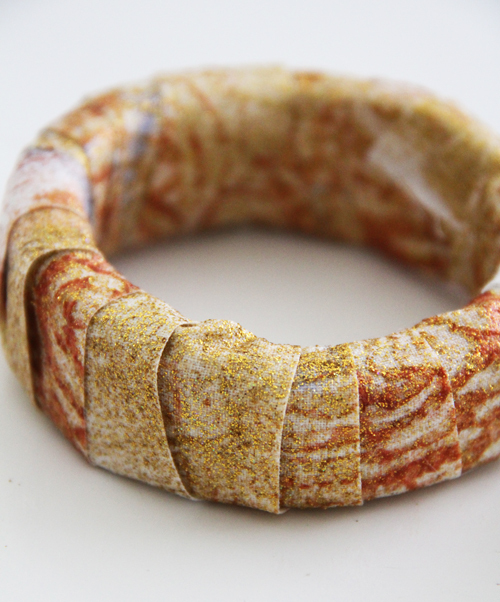 and using hot glue I wrapped and glued them to the craft foam bangle. 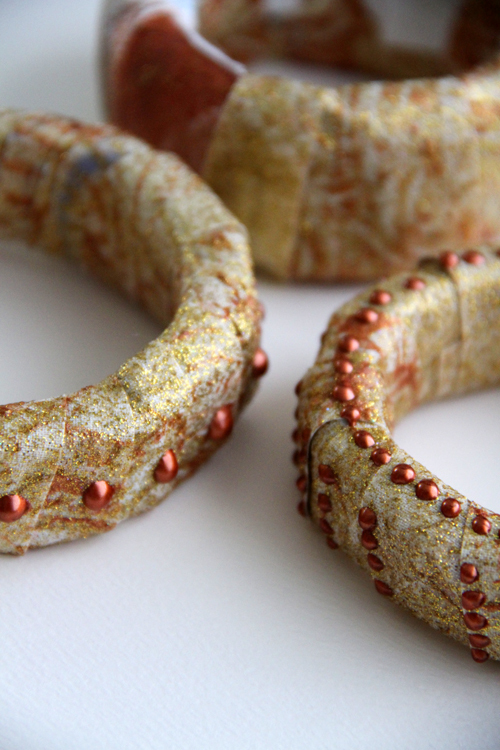 Once the entire bangle was wrapped I could't resist adding some little details and embellishments with Tulip Beads in a Bottle. 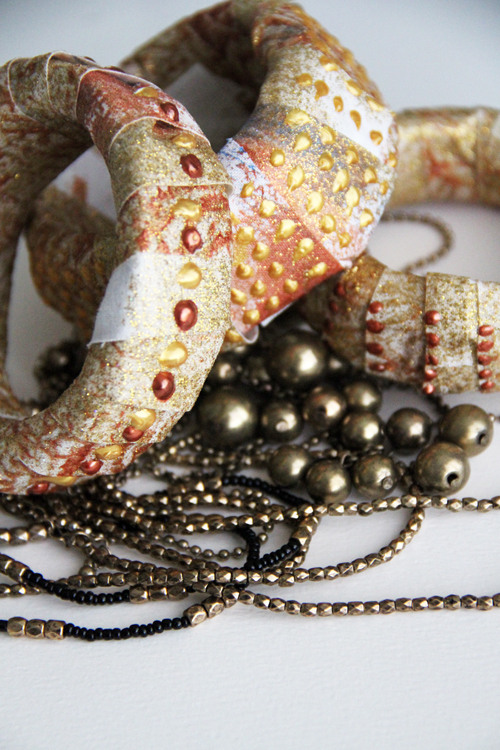 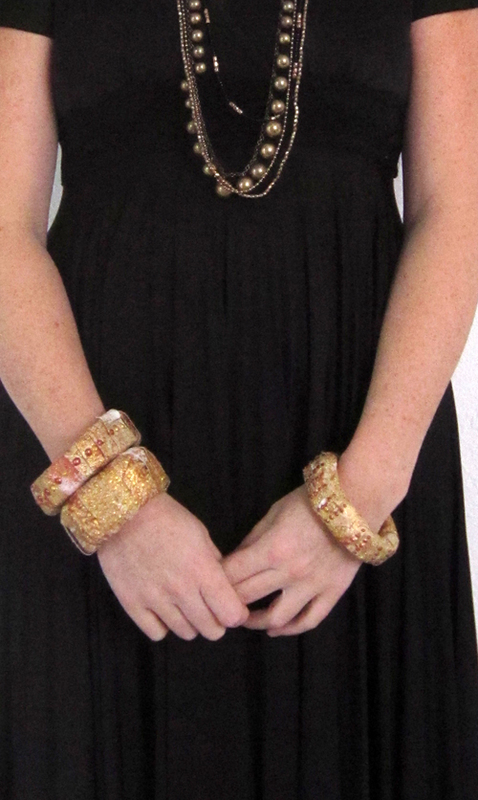 The result is chunky and funky bangles!